Keep calm and hope retailers adapt. Thatʼs the mantra of retail executives after a year of shakeups for the retail industry nationwide. While many sectors are struggling, there are pockets where retail is doing alright, and in New York City, the story is all about adapting. Perhaps the biggest change retailers need to consider is how to handle the rapid growth of e-commerce. According to the U.S. Department of Commerce, e-commerce sales in the second quarter of 2017 accounted for 8.9 percent of total sales. Wagman suggested retailers take a hard look at their business strategy, and figure out the best way to balance their brick and mortar stores with their online business. It’s a strategy that’s worked well for brands such as Zara and H&M, which have seen sales soar in the past year. 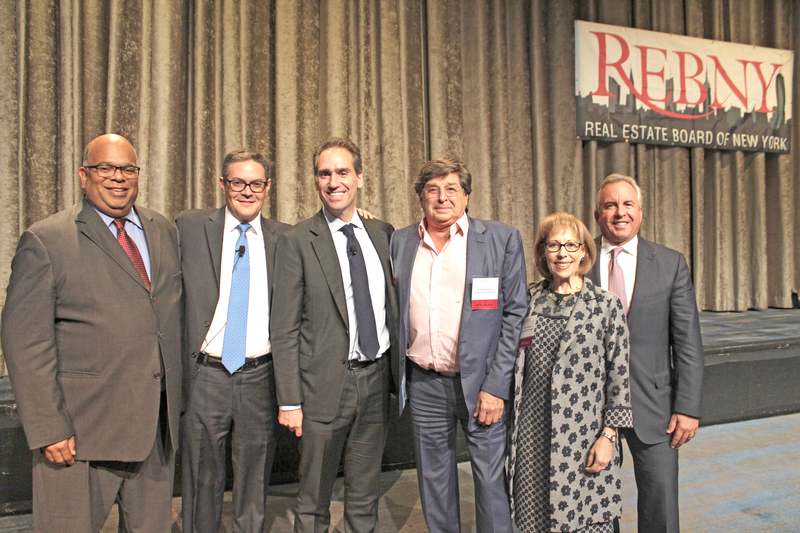 Michael Goldban, the senior vice president of retail leasing at Brookfield Office Properties, said that once retailers learn how to create the omnichannel approach now needed to be successful in retail, and figure out the store versus online balance, the retail market will see a comeback. “Once they figure out how to balance, the dip will swing back,” said Golban at the panel. Along with learning to balance, retailers can’t rely on flagship locations to be enough — they have to offer something special. When Old Navy took a space in Times Square, a pocket where the retail market is doing well, the clothing retailer surprised many when it didn’t do more with the space. Another move by a major retailer that many saw as a misstep was Amazon’s opening of a brick and mortar bookstore at Columbus Circle in May. The massive online retailer built its billion-dollar business through e-commerce, including books. Despite all the worry, retail insiders are optimistic about the future, and see the dip in asking rents over the last several months as something that won’t last. “The good thing about the dynamism of the New York market, is if one industry doesn’t come in, another will fit it,” said Goldban. He pointed to areas of retail that are on fire right now — food, entertainment and fitness. “I think rents will go up again, but not to the high level they were,” he said.